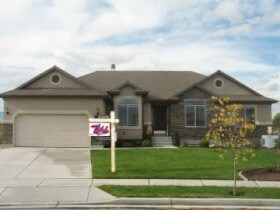 Do you want to buy a Lehi Utah Home? Search the Lehi MLS and Home Finder. View Lehi UT listings on the MLS Map. Find over 15,000 Saratoga Springs area house and property listings for sale, rent or lease. The Multiple Listing Service includes existing homes, new construction, luxury homes, custom built houses, condos, townhomes, high rises, downtown lofts, home lots, land, acreage, farms and ranches for sale, rent and lease in the Lehi Area. Are You Looking to Buy a Lehi Utah Home? Team Teasdale Realty will help you buy a Lehi utah home. The decision to buy a Lehi Utah home is one of the biggest and best choices you could ever make. After all, a home is the largest - and most emotional - investment most people will face in their lifetime. So, how do you know if it's the right time for you to buy a Lehi Utah home? The key is finding the right buy and taking the time to carefully evaluate your finances. It is always good if you can find a Lehi short sale or a Lehi bank foreclosure. These are often the best buys in the area. A home purchase is an important step that can provide many advantages. Purchasing your own home is a great investment that can deliver several financial benefits - equity build up, value appreciation, automatic savings plan - not to mention a new sense of pride! If you want to buy a Lehi Utah home contact Team Teasdale Realty.